A prime seaside location, one of the most beautiful beaches on the island, a sense of space. 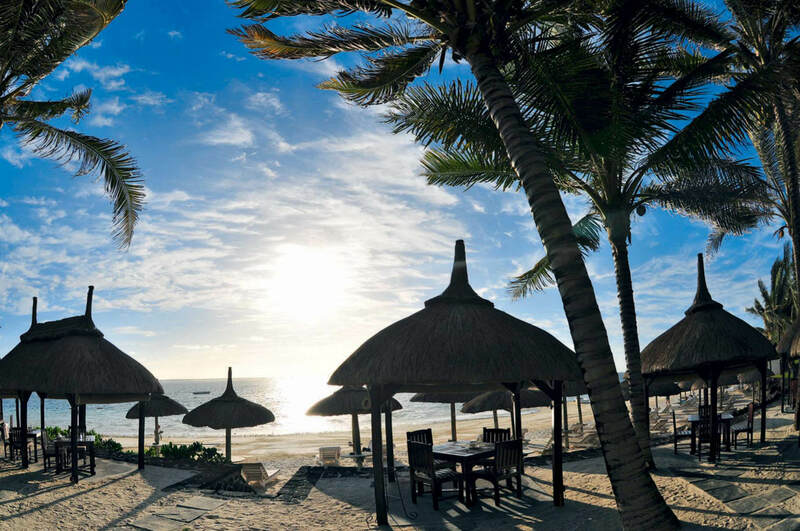 Veranda Palmar Beach, on the stunning and preserved eastern coast of Mauritius, is the perfect combination for guests looking to experience the lagoon and the beach at its best. 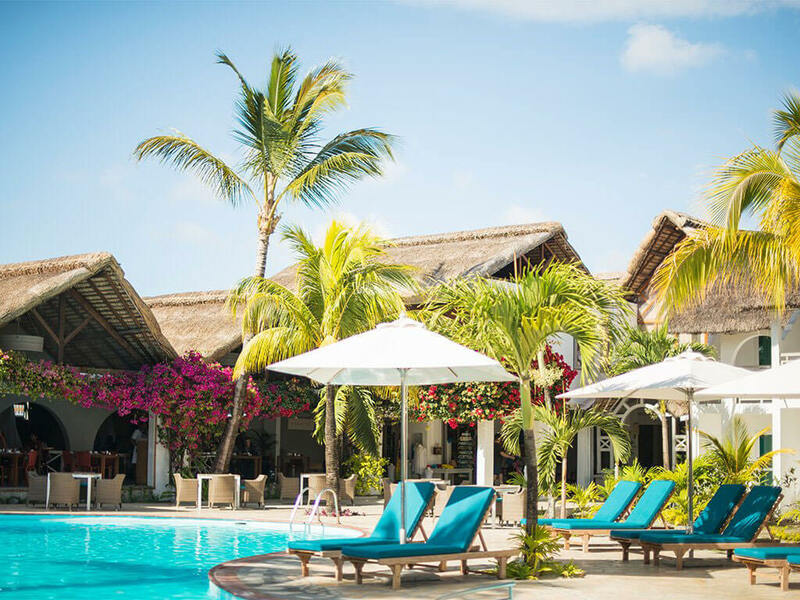 With its thatched roofs, its whitewashed walls and huge bougainvillea, Veranda Palmar Beach, is bursting with seaside charm. The garden is planted with coconut palms and royal palms rustled by the cool sea breezes. Set on a kilometer-long beach, the hotel is All-inclusive, and boasts two restaurants (one on the beach) and two bars. 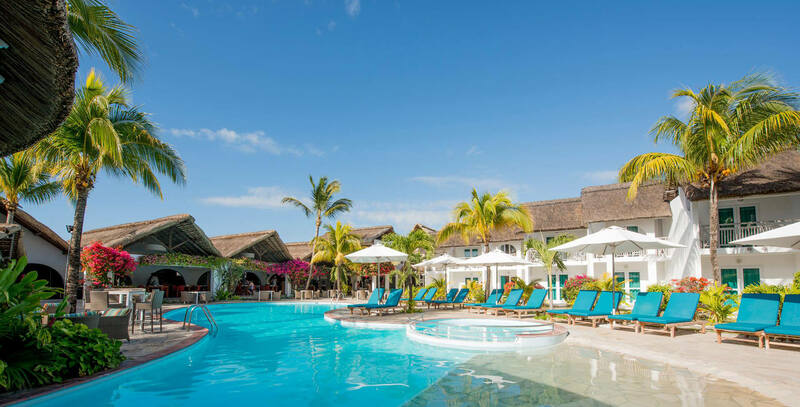 The hotel offers a large pool, a selection of waters sports such as kitesurf, sailing, scuba diving, waterskiing, as well as a Kids club from 3 to 11 years old and a Seven Colours Spa for your wellness breaks. The sea is omnipresent at Veranda Palmar Beach, with translucent blue waters bordered by an endless white beach. Those who love sea sports will be particularly spoilt, with the chance to dive, kitesurf, sail, and water ski…a place to lap up the sea in its totality. 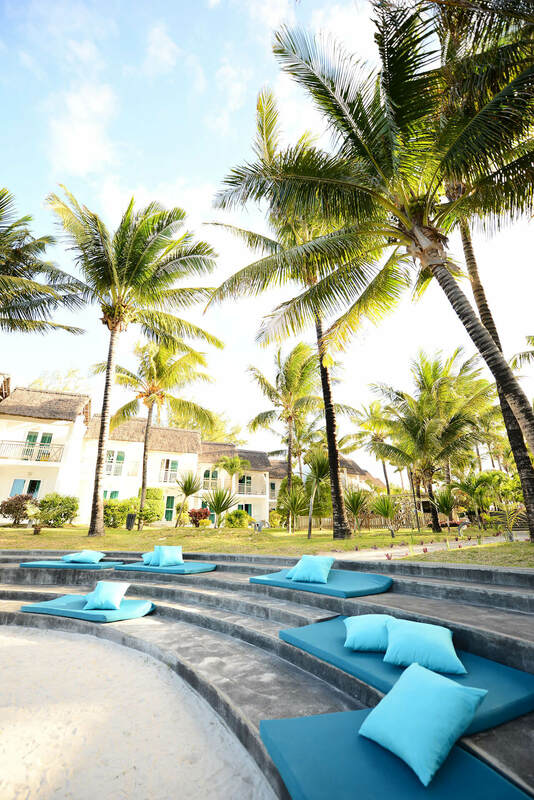 As a family or a couple, experience relaxed and stress-free holidays in Mauritius at Veranda Palmar Beach. The hotel provides two rooms (2) for disabled guests located both on the ground floor. Average score given by our customers based on 130 reviews. Why choose Veranda Palmar Beach? boasting the perfect combination for a relaxing yet adventurous holiday, to live as a couple or a family. A kilometer-long stretch of white sandy beach, along a turquoise lagoon. The picture perfect setting at your doorstep. The most beautiful lagoon of the island as your holiday playground. 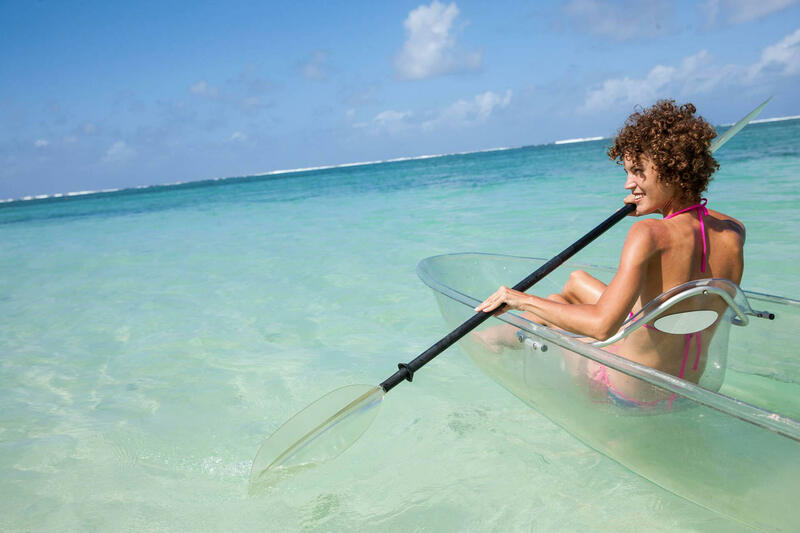 A collection of water sports and leisure to fully capture the essence of holidays in the Indian Ocean. Sunrise at Veranda Palmar Beach is pure bliss. Start your day with a salute to the sun and breakfast on the beach. An exceptionnal holiday experience for kids. Play, laugh, have fun, repeat. 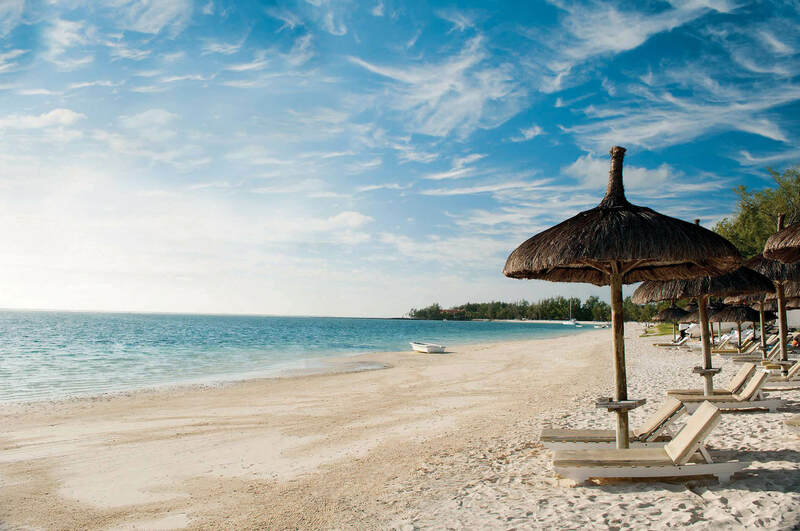 Make a reservation at the Veranda Palmar Beach on the East coast of Mauritius for a vacation by the seaside. Comfort Rooms have a laid-back, tropical vibe to them. They vary in size, ranging from 36m2 to 38m2, and give onto the gorgeous pool or the garden foliage. As a family, a couple, a solo traveller or a group of friends, find out about our latest special offers for holidays in Mauritius.